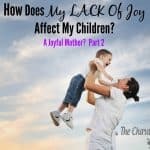 In the two previous posts, I have talked about 3 things that steal our joy, and how a lack of joy affects our kids. 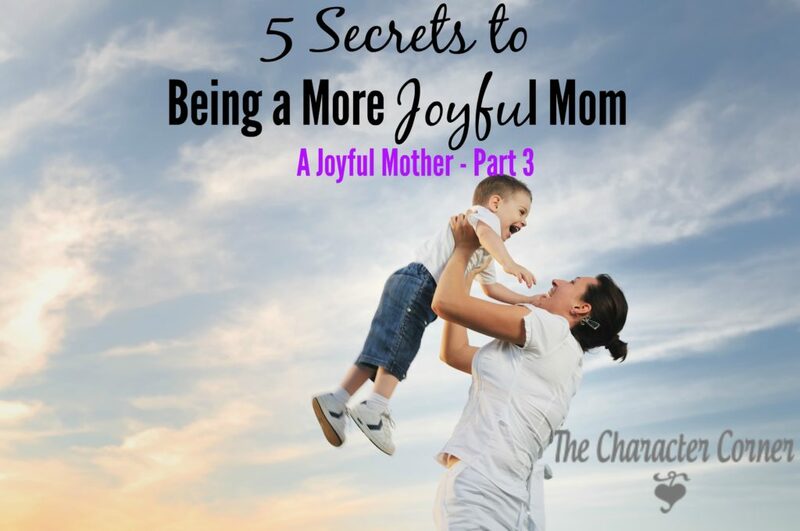 In this post I am going to share some secrets to being a more joyful mother. That is what we all hope for, right? I want my kids to remember me as a happy mother, rather than a stressed out unhappy mom. WHAT CAN I DO TO BE MORE JOYFUL? 1. Be careful how I think. So often we stay discouraged and lose our joy, because we aren’t focused on the truth of God’s Word. To stay focused on those truths, we need to be reading God’s Word daily, as well as meditating on it. 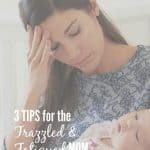 I know how hard it can be to find time for this as busy, young moms. However, everything that we do as moms, needs to rest on the foundation of God’s Word. Finding time to spend in His Word MUST be a priority. 2. I need to give my expectations to God. 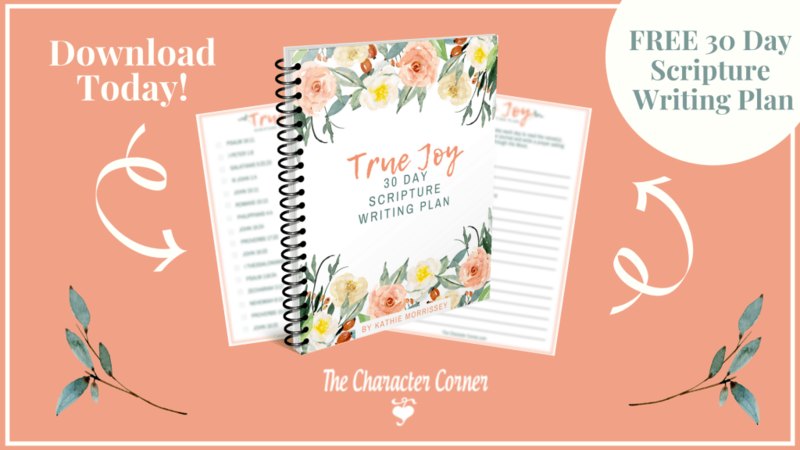 When I start expecting my husband to do certain things to help around the house, or expecting my children to be extra diligent in their school work, or go the extra mile to be helpful, I am setting myself up for frustration, disappointment, and a loss of my joy. Don’t expect, but rather count it as a blessing when someone does something extra that pleases you. The easiest way to accomplish the first two things above, is to have a thankful heart. When I find myself getting irritated about dishes being left in the sink, I stop and tell myself “I’m glad we have dirty dishes. That means we aren’t going hungry.” Then I thank the Lord for His provision. You can do this with any situation that is making you irritable. 4. Listen to and sing hymns, and good Christian music. Music can lift your spirit, and increase your joy. I remember how my mom was always singing, and seemed happy. I’m sure she had times that she wasn’t feeling real joyful, but she had learned that singing would help change her heart. Often I will turn on a CD of Scripture songs when I find that I am in need of an attitude improvement. There’s something about hearing God’s Word that just changes your heart and your attitude. I remember one particular day when I was a young mom of several children, and my attitude wasn’t very good. 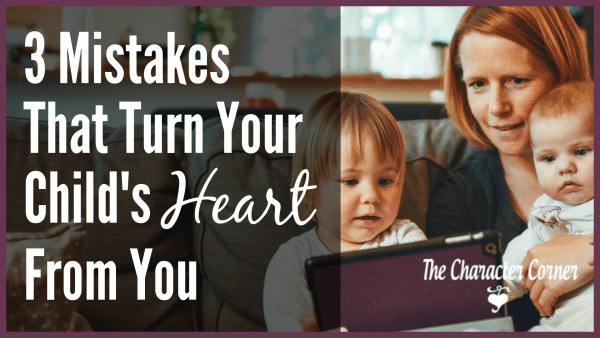 I was grumbling and unhappy about dishes, diapers, discipline, etc. Right in the middle of my grumbling, I heard my little son singing in the other room. 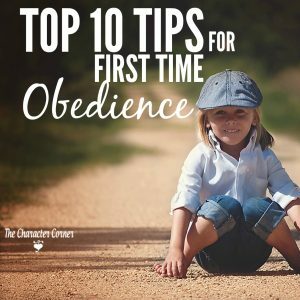 He was singing the Scripture song that we had learned a few weeks earlier: “I delight to do thy will, Oh Lord.” It convicted my heart, and I realized I needed to change my attitude, and delight in doing what God had called me to as a mom. As busy moms it is very easy to stay up late, trying to get work done while the kids are sleeping. Perhaps you also get up early to get a jump start on things while the house is still quiet. While I understand this and struggled with it myself when my kids were younger, I quickly realized that the resulting fatigue from not getting enough sleep wasn’t worth that extra time to get work done. When you’re tired, everything seems worse than it is, and can be overwhelming and stressful. When you are tired and stressed, it’s hard to be joyful. Make sleep a priority, and discipline yourself to follow a schedule that gives you the sleep you need. As moms, let’s ask God to help us to live each day joyfully! What better way to lead our kids to Him, than demonstrating the joy that only He can give us?! 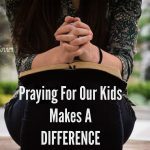 Praying For Our Kids Makes a Difference! Thank you! It seems some days there are so many needs and I forget to be grateful for what God has provided. Your words are a blessing to me! Thank you Amy. I’m glad it was a blessing to you! Absolutely wonderfully said. I appreciated this so much. So much TRUTH for my heart. Thank you! Julie, you’re welcome! I’m so glad it encouraged your heart.